Companies involved in the transport and disposal of medical waste need specialized insurance. 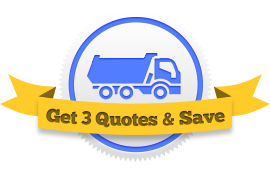 We help you get in touch with 3 insurance agents who understand how to write a policy for a medical waste hauling company. Get started now. There are so many aspects that pose risks. You must insure your business with the usual property insurance, workers comp, and general liability coverages. You must insure your vehicles with physical damage and uninsured motorist coverages. But then there are other, additional steps that you have to take to stay within safe limits. Medical Waste Trucks carry more risk than standard commercial vehicles. As such, they’re expected to bear more of an insurance burden. Medical waste is classified by the EPA as a hazardous material. They require any company hauling new or used medical materials to purchase an auto liability limit of at least $1,000,000. There are several ways to lower the cost of medical waste insurance. Bundle your coverage – when you bundle your auto liability coverage with your business insurances, you get discounts. Choose the right payment plan – the more money you pay up front, the bigger your discount. Prove how safe you are – insurance companies like to work with businesses they can trust. While you know you run a safe business, you still have to prove this to the insurance company. Be sure to provide them with all safety materials you provide your employees. Shop around – you can’t get the best price if you don’t compare multiple agencies. Compare agents so you get the best policy. A surefire way to get the best quote on medical waste insurance is to compare three agencies at the same time. Fill out our quote request form, and we’ll connect you with multiple agents who know how medical wast transport works. They offer a low price and you choose the winner. Get started now!